Following a week of UK shows at the NIA, MEN Arena and the O2, I felt the right thing to do, was to join Stevie Wonder in Stockholm. After all, this was his European Tour. I’d bought a couple of tickets for the show, expecting my cousin, who had moved to Stockholm earlier in the year, to join me. But it wasn’t meant to be. Her boyfriend had got her pregnant and by the time the concert came along, she was only a month away from giving birth. Considering I didn’t purchase a seat for a pregnant lady and the risk of Stevie Wonder causing a premature birth, it was best I went alone for this one. I managed to sell the ticket to a tout, even though it was an e-ticket. He was wary at first, as I guess I could have printed hundreds of copies. But I seemed trustworthy, so he bought it for virtually the price I had paid. Sadly for him though, and I genuinely mean that, I don’t think he sold it on as I had an empty seat next to me. Of all the locations I’d seen Stevie at thus far, the Globen stood out. It didn’t feel as vast as the O2, but had a much nicer feel to it. The colourful lighting surrounding the arena as you approach from the station was very pleasant on the eye. 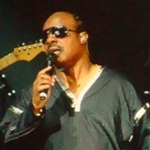 Stevie Wonder’s performance at the Globen was sensational. The crowd were almost as good. I love it when a crowd appreciates a genius at work. It felt like Stevie and the crowd were working as one. By now of course, the main format of the show, along with the song choices, would follow a similar pattern. Thankfully, it’s the little surprises that make these trips worthwhile. The best of those little surprises was Part Time Lover! You can not even imagine the pleasure as soon as I heard the first few bars, realising that sometimes dreams can come true. A live version of Part Time Lover! Stevie Wonder mentioned the passing of his mother and a paid tribute to Barack Obama, preaching for his election. A really nice touch was Stevie taking time out to celebrate his brother’s birthday. I’m sure Stevie Wonder has probably sang Happy Birthday to Milton Hardaway before, but it was great for us in the crowd to get the sense we were invited to a private family party. Of course, almost everyone joined in. The whole performance was a joy from start to finish. Stevie Wonder working his magic again and I got to go to Milton’s birthday. Oh and I did I mention Happy Birthday and Part Time Lover live!